We take pride in our partner approach with our customers. We let our business practices of honesty, integrity, and transparency speak for themselves. If we don’t deliver on our promises: You are free to choose a different payment processing solutions provider, at no contractual or financial risk to you or your business. Credit Card Processing with a ZERO Monthly Balance due – No Fees ANYMORE! This proprietary program we employ is completely legal in every state. We are well ahead of the competition because of our software that other credit card processors do not possess. 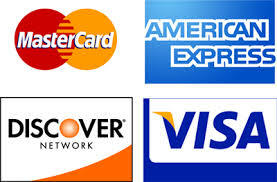 Simple Program: You will receive a credit card processing bill, every month, from now on: with a monthly zero balance. This is possible because your customers will share totally or partially, the business credit card costs previously only associated with businesses taking their customer’s card as payment. The program costs are very nominal per month, depending on your monthly credit card volume. Every company that participates save thousands of dollars per year! So, if you want to completely eliminate your monthly credit card processing bill: call us today, and we will answer your questions and fill in the easy details! A: We educate our customers regarding the confusing, payment-processing world. An initial consultation with A-1 Merchant Solutions will yield our business prospects with a much better understanding of how credit card processing works and why “the rate game” is so confusing. The goal: Our customers gain the working knowledge as to never get “double-talked” again, by others in this industry.